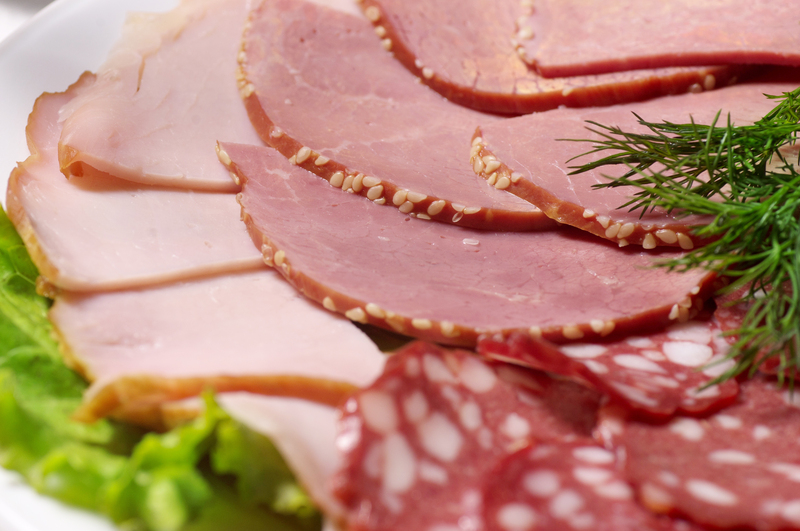 The Dangers of Sodium Nitrite: What’s in Your Deli Meat? Deli meat is routinely listed by nutritionists, dieticians and other professionals in nutrition as foods that are generally unhealthy. This had to do with the large quantity of preservatives that these meats contain, such as sodium nitrite. Sodium nitrite in particular is bad for our health because it has been linked to a variety of diseases including various forms of cancer, diabetes, and cognitive diseases that affect the brain. The reason why this ingredient is so prevalent in deli meats is because that it protects the meat against numerous types of bacteria which can spoil the meat. This ingredient along with many of the other preservatives found in deli meat are the reason why it has such a long shelf life. Here are some of the biggest dangers that these nitrates pose to our health. Carcinogen is a term used to describe cancer-causing, which is exactly the case with these types of compounds. 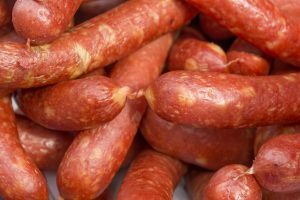 Nitrites themselves aren’t necessarily carcinogenic, however when they are exposed to high amounts of heat in the presence of particular amino acids, they form a compound which is cancer causing. Since the processing of deli meats involves sodium nitrite in the presence of heat, the amino acids within the meat combine with these nitrites to form nitrosamines, a molecule that causes cancer. Studies have shown that consuming these compounds can lead to a whole host of cancers such as stomach cancer, bladder cancer, colon cancer, and others as well according to the Department of Epidemiology and Biostatistics in the United Kingdom. Research has also shown that over consumption of products which contain sodium nitrites can encourage a condition known as methemoglobinemia. This happens because our red blood cells are formed using the wrong isotope of iron, which negatively impacts its ability to transport oxygen throughout the body. This condition can lead to a blue coloring of the skin, which is indicative of the low availability of oxygen in the blood. Headaches, fatigue, and a general reduction in cognitive ability is typical in cases of methemoglobinemia. Most of us are familiar with type II diabetes, where the body becomes resistant to insulin due to the tremendous amount of sugar in the system. Type I diabetes is different in that it has to do with the pancreas not being able to produce enough insulin in the first place. A lack of insulin means that the body isn’t able to adequately remove sugar from the bloodstream to deliver to other tissues. While the symptoms can be similar, type II and type I diabetes are distinctly different. Studies have shown that consumption of red meat along with other foods that contain that contain sodium nitrites can greatly increase an individual’s risk of developing type I diabetes, so make sure to reduce your consumption of these types of foods. Studies have also shown that consumption of foods containing sodium nitrite can have an adverse affect on the health of our brain as well. This is not only true for those of us who are in the later stages of our life, and have to worry about problems such as dementia and Alzheimer’s. These negative effects begin to impact us as early as our childhood as well. This includes things such as motor function, learning, and other things which are impacted by the degeneration of the brain. Is There a Difference Between Nitrites and Nitrates? These two compounds while being similar, are not one in the same. Many people tend to confuse the two because of their similar names, which is because of their similar chemical structure. It is important to know the difference however as nitrates opera valance in many foods that we eat which are considered to be healthy. The vast majority of nitrates that we consume from our diet come from vegetables and fruits, with only a small percentage coming from other sources within our diet. This is important to know because nitrates are processed by the body into compounds such as nitric oxide, which plays an essential role in various cell signaling processes. This includes the process of vasodilation, or the opening of our blood vessels. A small in number of the nitrates we do eat end up being converted into nitrites, however it isn’t significant enough of a number to have any negative impact on our health. So, remember that we want to avoid eating foods which contain a high amount of nitrites and not to avoid eating nitrates. What Foods are High in Sodium Nitrite? The easiest way to tell whether or not a food is high in sodium nitrite is the amount of processing that went into creating the product. This means that the first food items you should look to eliminate from your grocery list are deli meats, bacon, sausage, cured meats, hamburgers, hot dogs and other similar food items. While ideally you should be a limiting all of these foods from your diet, there are going to be some of us who don’t want to go without our bacon with breakfast, or our hot dog at the barbecue. If this sounds like you, there are some nitrite free options available which you should be able to find that your supermarket. These items contain less preservatives and are generally considered healthier to eat than the alternatives. The only downside here is that these products tend to have a much shorter shelf life than of their preservative laden counterparts, so don’t let them hang around awhile.